The Suzuki Boulevard S40 takes a timeless single-cylinder design, with a new blacked-out treatment, and adds a shot of advanced Suzuki technology to create a bike that combines exciting performance and a bold appearance with rock-solid reliability. It features a strong, rigid chassis for agile handling and lightweight responsiveness that makes it great for cruising down the boulevard or beyond the city limits. 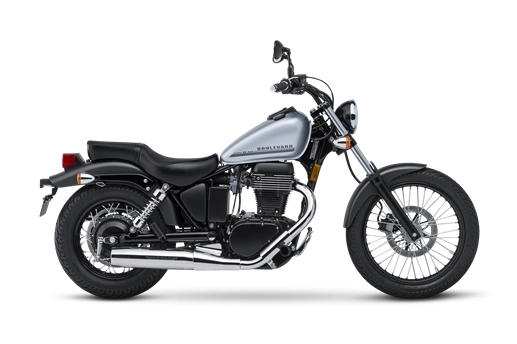 Best of all, one twist of the throttle rewards you with a strong blast torque from the 40-cubic-inch engine.